Mission First Tactical (MFT) introduced its Extreme Duty Polymer Magazine for 5.56-chambered guns recently. Designed primarily for AR-15/M4 platforms, the magazine will function in other firearm types as well. For some time, polymer magazines have dominated the AR-15 accessory market as the platform of choice. Because they are often more durable or affordable than aluminum or steel mags, numerous companies now offer seemingly limitless choices. 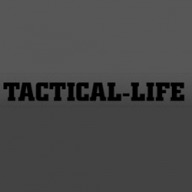 Likewise, Mission First Tactical is known for developing accessories geared toward the AR-15. The company manufactures some fo the more economically-priced AR-15 mags on the market today. The Extreme Duty Polymer Magazines feature long-glass-fiber polymer construction for structural performance, strength and stiffness. Additionally, that stiffness enables the magazine to maintain its integrity without adding weight, according to MFT. First of all, the Extreme Duty Polymer Magazine is built to withstand deformation and polymer fatigue. Furthermore, the magazines enjoy increased durability, according to MFT. The stainless steel magazine spring, which meets USGI specifications, is corrosion resistant. Also, the four-way, anti-tilt, self-lubricating follower keeps rounds aligned, preventing jambs. For manual of arms, the magazines feature front and rear gripping surfaces designed to promote a positive grip. The flared floor plate aids in handling and extraction during the execution of reloads. Most noteworthy, the magazine’s tool-less disassembly design should aid in field-stripping, cleaning or repairing magazines in the field. Above all, the Mission First Tactical Extreme Duty Polymer Magazine comes with a full lifetime warranty. Finally, suggested retail is $12.99. For more information, visit missionfirsttactical.com. The post Mission First Tactical Introduces the Extreme Duty Polymer Magazine appeared first on Tactical Life Gun Magazine: Gun News and Gun Reviews.